As a small business owner, it’s likely you wear a lot of hats. From marketing to managing employees to sourcing products, there’s a lot of tasks to oversee. So where does that leave your bookkeeping? Properly maintaining a record of your business’s expenses is vital to both day to day operations and its long-term longevity. Every single one of those numbers is crucial and even one small mistake could spiral into a much bigger problem. Proper bookkeeping and accounting is important because they serve as barometers for your business’s success. Fortunately, small business bookkeeping doesn’t need to be something you dread. It’s often the smallest changes in how you approach bookkeeping that can make all the difference for improving accuracy and reducing headaches. Ready to streamline your bookkeeping process and gain a clearer view of your business’s financial health? Here are five small business bookkeeping tips for getting the job done. As a small business owner, you’re wearing a lot of different hats and it can feel as though your attention is constantly being pulled in several different directions. With so much going on, it’s easy to become a little lazy when it comes to keeping up with your invoices. If there’s one thing you make a priority for bookkeeping, it should be to become meticulous with invoice tracking and record keeping. Take 15 minutes each day to update invoices and make sure all accounts reflect current activity. A mistake that too many new small businesses make is lumping all of their funds into one account. There are so many moving parts to small business finances that it’s important to separate these components as soon as possible. For instance, separate out personal finances and business finances, even if you’re a sole proprietor with a relatively small operation. You’ll also want to separate income that comes from different sources – for example, incoming funds from paying clients versus funds that come from loans. Cloud accounting software can make your life so much easier. Cloud accounting software can make it easy to capture financial information, store it for easy access, and gain a big-picture perspective of your business’s financial health for future growth and investments. Tax season is notorious for sending small business owners over the brink of frustration. Small business taxes can be complicated but the sooner you prepare for them, the less of a challenge they’ll be. Prepare early by understanding your tax requirements, anticipated payments, tax-related payroll obligations, and marking important tax deadlines on your calendar. There are endless complexities to small business accounting. If you’d like to save yourself the stress and headaches, there are professionals who can provide you with business solutions, including bookkeeping for small businesses. At Steiner Business Solutions, we offer a range of services for small businesses in Wilmington, NC and Richmond, VA. Our services include bookkeeping, accounting, tax preparation and more. Let us take care of the numbers while you tend to the other important aspects of running a successful business. Contact Steiner Business Solutions today to learn more. Here’s the good news: your business is growing, and you and your team are busier than ever before. The bad news? You’re quickly realizing a few things: the recruitment, hiring and retention process for an internal bookkeeper is costly, and you just don’t have the time you need to do your bookkeeping. It’s time to explore outsourcing your bookkeeping. But how do you know you’ll get the quality you expect? Here are some of the best practices you should follow when considering to outsource your bookkeeping. The last thing you want is to put your books in the hands of an unestablished, inexperienced company. You need a company that has the know-how and the hands-on experience to handle anything you throw their way. Sure, a brand-new company might offer you a “deal,” but is it worth risking your business’s bookkeeping to take advantage of a discount? Better yet, an experienced bookkeeping firm reduces risk by taking several risk mitigating measures including being insured. You’re far less likely to fall victim to theft and be on the hook when you work with a company who has a longstanding reputation for excellent work. When you can read glowing reviews about the work that’s been done over the years, it gives you something truly priceless: peace of mind. You don’t want to fully onboard a new bookkeeping service only to discover that they can’t grow with you or bridge the gaps. Be sure that they’ve got the manpower and time to increase the time they spend with you each month should the need arise! Conversely, if you’re having a slow season, ask if they are able to accommodate fewer hours without financially penalizing you. If a bookkeeping company you’re considering is asking that you sign a year-long contract, you might want to take a moment and think before you put pen to paper. What are your responsibilities if, for some reason, you choose to part ways with your bookkeeping firm before the contract is completed? Will you be expected to pay until the end of the contract, even if you decide you’d prefer to bring the books back in-house a few months after you signed? Ideally, you’ll find a bookkeeping service that offers month-to-month service plans, so you can move on whenever you’re ready. 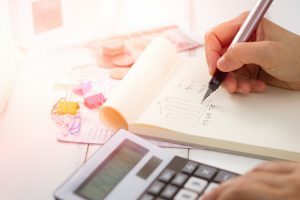 You’ve heard the old expression, “You get what you pay for.” If you search for a cut-rate bookkeeping service, it’s far too likely that you’ll get below-average quality services to match the lower-than-usual price. Yes, it’s important for your business to save money, but your bookkeeping isn’t a place where you want to scrimp. You can probably find “freelance” bookkeepers at a bargain-basement rate, but where’s the guarantee that their work is truly professional? If you’re wasting time fixing mistakes and paying penalties because your bookkeeping isn’t able to complete your work in a timely fashion, you’re not really saving money after all. If a bookkeeping company can offer you a quick quote over the phone with any real details of your situation, you might take that quote with a grain of salt. As you know, accounting has a lot of variables; it’s probably going to take a consultation of some sort for your bookkeeping firm to fully understand the scope of work before them. Before you commit to working with an outsourced bookkeeping firm, be sure that they clearly understand your expectations and are prepared (and properly equipped) to handle them. Your bookkeeping is a central part of ensuring that your business stays afloat. Entrust it to professionals. At Steiner Business Solutions, we take our years of bookkeeping expertise and apply it to your business, ensuring that vital tasks such as bank reconciliations, payroll, financial statements, bill payment, and more are completed correctly and on time. Ready to talk? Click here to contact us today! If you’re a small-business owner, you’ve probably heard of the 2018 tax bill—also known as “Tax Cuts and Jobs Act.” This bill has not only changed individual taxes, but it’s also reformed corporate taxes in the U.S.—especially for small businesses. Originally touted as the tax break that would provide relief for small business owners, a 20% deduction is included in the bill for what they call “pass-through” income. This encompasses any income you receive from pass-through entities, including sole proprietorships, LLCs, partnerships, and S-Corps. Other types of income that are included under this umbrella include estate income as well as any dividends you may receive from Real Estate Investment Trust, or REIT, stocks. That said, there’s one restriction that you should know about: the Tax Cuts and Jobs Act places a cap on the maximum amount of income that any people who work in what they deem “professional services” businesses (think lawyers, doctors, or consultants) can earn if they want to utilize this deduction. This pass-through deduction for professional services business will take effect for the tax year of 2018; people with AGI greater than $157,500 (single filers) or $315,000 (married filing jointly) will be impacted. Many long-standing tax deductions managed to survive the processes that brought the latest tax bill into being— some with modifications, some in their original form. However, not every tax deduction made the cut, so to speak. After all, the sole purpose of the Tax Cuts and Jobs Act wasn’t to offer tax relief; lawmaker sought to make the U.S. tax code simpler. This simplification meant that some deductions that had been part of the landscape for some time are no longer valid. Casualty and theft losses — Previously, you could deduct the value of stolen items if your home was burgled. As of 2018, this deduction is only valid for any losses that are the result of a federally declared disaster. Moving expenses — In the old tax code, moving expenses were a deduction that was considered “above-the-line”– you could take them even if you didn’t itemize your taxes. This deduction was intended to counteract the expenses related to moving for employment. Today, this deduction is no longer permitted, unless you fall within the parameters of certain forms of active-duty military service. The “miscellaneous deduction” category — At last— a part of the tax code that was truly simplified! Previously, this consisted of a lengthy list of the deductions Americans could utilize. This list was applicable to the extent that they exceeded 2% of AGI, and it included items such as tax preparation expenses, expenses related to employment, and many more. Effective for the 2018 tax year, taxpayers can no longer utilize these deductions. Any taxpayers who have depended on these deductions in years past might feel a pinch now that they’re no longer available. From January 1 through April 15, it might feel like a wild sprint to get your tax return filed on time. It might be the way you’ve always handled the annual pain that is tax time, but that doesn’t mean that you can’t break the cycle. Here are a few tips that will help ease the impending sense of panic! Think about taxes all year long. Small business owners should not treat income taxes as a once-a-year event. Rather, tax planning should be a year-round activity. Waiting until the last minute just complicates the tax preparation process, and it limits your money-saving options. If you want to truly simplify your tax return, take steps to ensure that you’re not left scrambling at the last minute. Be aware of law changes. Even with the help of a skilled professional, a small business owner must keep up with news related to laws. Staying on top of tax law will help you ensure your tax professional is doing the best possible job, and it keeps you informed as a business owner. Read the business papers and keep up with Congress’ work on tax laws. 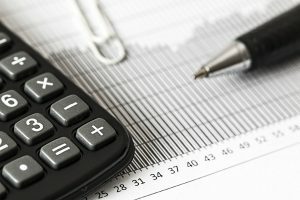 For instance, the Tax Cuts and Jobs Act will have a not-insignificant impact on next year’s tax return— if you’re not aware of the changes this bill will bring to your tax plan, you could find yourself facing significant payments that could have been avoided with a little bit of planning. Don’t make assumptions. Tax planning, to some extent, is a gamble. Never make business decisions assuming that particular tax breaks will pass, or that certain policies will be enacted. You don’t want to be caught short when your assumptions don’t become reality. These changes may be confusing. That’s not surprising— the tax code is extensive. However, there’s good news; if you work with experienced professionals, you don’t need to worry too much about them. At Steiner Business Solutions, we apply our know-how and training to make sure that you’re adhering to the updated tax code. We will calculate the effect of these changes on your bank account. Ready to talk? Click here to contact us today. It’s that time of year again. Time to review the past year and identify strategies that worked and the ones that didn’t.. A time to start forecasting for the future, referring to actuals for reasonable budget estimates. A time to cash flow annual employee bonuses. Yes folks, it’s year end. These are things most business owners are thinking about as December 31st or fiscal year end approaches. But one thing that’s often overlooked is what needs to be done to optimize the company’s position when it comes time to file the tax returns. We’ve put together a list of three year end tax tips to help you get your financial house in order ahead of tax season. Let’s dive in! If you do nothing else, set up a meeting with your accountant to discuss tax strategies before year end. Why? Because with a little forecasting and tax planning, you could save your company thousands of tax dollars (and penalty payments), and you can do some cash planning to avoid a crunch in Q1. Your accountant is up to date on all the current tax laws, including ones that allow certain advantageous deductions of which you may not be aware. Know what your options are if you’re planning to buy equipment in the next few months. It may make sense to purchase it before year end and take the depreciation, or it may make sense to wait until the new year. You may want to run the numbers and reap certain tax benefits under Section 179, which has a deduction limit of $1,000,000. If your company books run on an accrual or modified cash basis, talk to your accountant about whether it’s possible to defer income. Deferring income could be the key to maintaining a healthy cash flow as you head into the new year. If you’ve been drawing down on cash assets to pay yourself throughout the year, you’ll need to run a year end payroll to reflect your income and to pay the appropriate employee and employer payroll taxes. Waiting until after the deadline can cause headaches— and big bucks. Your accountant can help you gross up those draws and make state and federal payroll deposits on your behalf ahead of tax deadlines. Plus, if you meet with your accountant in advance, you can cash plan to accommodate these upcoming expenses. Don’t put off meeting with your accountant at year end. You’ll probably regret it when the taxman comes calling! You and your accountant can’t make realistic, accurate projections for tax planning if your books aren’t up to date. So add your books to that new year’s resolution to get in shape. You can’t make accurate cash and tax projections if your cash or liability accounts are misstated on the financials. And you probably don’t want to stay up until dawn catching up on a year’s worth of data entry at the eleventh hour. You don’t want to show up to your accountant’s office with a shoebox full of a year’s worth of receipts and nothing recorded in the books. Aside from reasons listed above, your accountant may not have the time or resources available to get that information entered before the deadline which may mean you’ll have to file for an extension. And you’ll want organized records for audit trail purposes. Plus, it’s just not a good leverage of your resources to pay a highly skilled accounting professional to do the work of an accounts payable or receivable clerk. Compare retained earnings from the prior year to make sure there are no changes to the ending balance. If there’s a difference, it means you’ve made entries affecting prior year numbers, which have already been reported to state and federal agencies on your tax returns. Ask your accountant about how to correct this problem. If you want accurate projections, get your books up to date! It’s not just about tax deductions, of course, but giving to your favorite charity can in fact reduce your tax liability. Take time to give some thought to which charity or charities support a mission that’s important to you. Corporate giving should be intentional, not last-minute. Do your due diligence to make sure the charity is reputable, and know before you donate whether or not contributions are tax deductible. Donations don’t necessarily have to be in the form of cash. Consider holding a year end food or clothing drive in the office and donate the items to a reputable charity, or donate an item to a charity’s silent auction. Most in-kind contributions can be claimed as a deduction for the fair market value of the items donated. Charities generally send out thank you letters to donors along with a record of the cash or in-kind donation. Follow up with them if you haven’t received one. These letters should also contain the organization’s tax identification number, and confirm whether the donation is tax deductible..
Not only does charitable giving support a cause that’s important to you, it can provide a tax deduction and it lets the community know you’re a good corporate citizen. Whether you need help with tax planning, tax preparation or business consulting services, we invite you to visit our website, or give our offices a call at (804.525.4259). Steiner Business Solutions has announced the opening of a new office location in beautiful Wilmington NC. This marks the company’s first venture outside of Virginia. The North Carolina location enables the company to expand its market reach into the small business community, where it provides valuable bookkeeping, accounting, tax preparation, and business consulting services. For Steiner Business Solutions, this fits right in with the company’s motto, “Bridging the Gap,” shown in the stylized bridge in its logo. The company is constantly reaching out to new customers and new communities, helping small businesses grow. Steiner Business Solutions started as a small business itself, and takes pride in helping other small businesses with planning, productivity, and success. From its home base in Richmond, VA, the company has expanded into surrounding areas, including its new site in Wilmington NC. This is just one of several new acquisitions for Steiner Business Solutions. It acquired a Richmond-based bookkeeping and bill paying company last year, and is currently exploring other options that will allow continued expansion to serve more customers. Dan Steiner, CEO of Steiner Business Solutions, expects the acquisition to go smoothly. Current customers shouldn’t notice any change in service because the company is well-prepared for the integration. Steiner Business Solutions provides a full range of services to small businesses, including bookkeeping, business consulting, fractional CFO services, payroll, QuickBooks training, tax preparation and planning. The Steiner Business Solutions brand serves as a single one-stop shop for small business owners. Steiner Business Solutions is based in Richmond, VA and was founded in 2006. For more information, visit steinerbusinesssolutions.com. Whether you’re just starting out or looking ahead to how you’ll scale your growth over the next few years, having and managing a strategy for the future of your small business is important. Too often, small businesses can conceptualize the value of strategic planning but ultimately back away, thinking that the scope of that type of strategy is better intended for larger operations. This couldn’t be further from the truth. Strategic planning is a business solution that can benefit operations of all sizes – from a small “mom and pop” local business to the largest corporation. We know that 70% of businesses that use a formal process for managing their strategy outperform those that don’t. That last thing you want for your small business is to be on the wrong side of those numbers. Here is why strategic planning for small businesses is so important today. Why Does Any Business Need Strategic Planning? No business opens its doors with a plan to fail. Every business has their sights set on the future, and in order to make that future a reality, a plan that outlines goals and a strategy for achieving them is crucial. Without a plan, you’re just stumbling around in the dark, holding your breath and hoping you make it over the next hurdle. Strategic small business planning puts a system of procedures in place that will guide your business to meeting each of its goals and achieving measurable growth. This type of planning looks different for each business. Some will strategize a rigid approach to short term goals, while another might plan for growth over a five-year period with room for flexibility to adjust to shifting business trends. Either way, strategic planning keeps businesses focused on the future, and prevents them from taking a hit from unexpected challenges along the way. Perhaps the biggest benefit from strategic planning for small business is that it provides a path of action to follow. Markets aren’t as predictable for smaller operations, and it’s easy to stray off course. An effective, comprehensive plan will include at least five basic elements. Mission or Objective: What does your business do, what purpose does it serve and how will it enhance the lives of consumers now and into the future? Business Goals: Where do you see your business in 2, 5 or 10 years? Small businesses are best served by focusing on the goals that will grow their operation in the next 2-5 years. Strategy: A detailed strategy for meeting each of the outlined goals. Implementation: Execution is where many small businesses fall short. Strategic planning includes an action plan that outlines strategy implementation step by step. Monitoring: Things change. Consistent monitoring helps recognize strong and weak points, as well as identify when you need to adapt to market shifts. The idea of planning for the future can be overwhelming. There’s no reason to make the process more complicated than it needs to be. A simple, actionable plan is better than no plan at all. It’s also important to remember you don’t have to take on this challenge all on your own. We offer solutions designed specifically for small, growing businesses just like yours. If you would like to know more about identifying and implementing a strategic, actionable plan for your future growth, contact Steiner Business Solutions today. Richmond, you have voted for the fourth year in a row, and the winners are in. After 312,310 votes, you have selected your favorites in 109 categories, from The Best Brunch to The Best Furniture Store to The Best Auto Repair. The votes are in – Best Local Accounting Firm in Richmond goes to Steiner Business Solutions! As your small business matures, so does its needs. While in the beginning you may have been able to handle all the functions of your business operations with a smaller, unspecialized staff, you’re quickly coming to the conclusion that what you’re currently working with is no longer meeting the needs of your growth driven operation. One of the most important positions in your small business is that of a CFO. At the end of the day, it’s the CFO who makes sure you’re using financial strategies for growth and profitability. Running a small business without a CFO is doable, but it can be difficult. The responsibilities handled by a CFO are not ones that you want to overlook or delegate to the wrong person. You might be thinking about bringing in a dedicated CFO, but the sticker shock of their salary is causing some hesitation, or maybe you’re wondering if you need someone in the position full time when your business is still relatively small. Hiring a fractional CFO is a solution to both these concerns, but choosing the right one is an important decision. Here are three things to consider before you decide. The first thing to do is make sure you understand what a fractional, or outsourced, CFO does and what their role in your business will be. A fractional CFO is someone who performs financial officer responsibilities for your business, on a part time basis, commonly from a remote location with occasional onsite visits. They’re there to work with you and your management team, point you in the direction of financial success and take care of the practicalities that your current team doesn’t have the time or professional skill set to handle. Cash management, capital needs assessment, margin analysis, pricing, and forecasting are just a few areas of interest CFOs can help with. Don’t assume that because an outsourced CFO isn’t working in the office next to yours that chemistry isn’t important. You’re putting your financial future into this person’s hands and having a level of respect and trust in them is non-negotiable. 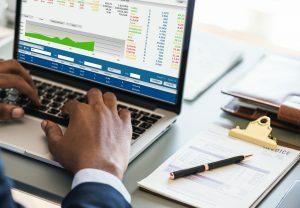 Don’t hesitate to ask any potential fractional CFO about their practices, and how they’ll approach the unique financial aspects of your business. You shouldn’t settle for a one-size-fits-all approach, but instead look for someone who can pinpoint how your business is different and be able to come to you with solutions that fit. The financial health and future of your business is far too important to trust in the hands of just anyone. While some CFOs will work independently, you will often find the most experienced, highly-qualified candidates working alongside other professionals in a company that provide a range of business services. Your fractional CFO should also specialize in working with small business clients. We’re dedicated to providing you with the expert CFO services your small business needs. The integrity of our team affects our reputation and yours, and there’s nothing that we’ll let tarnish that. Contact Steiner Business Solutions today to learn more about our expert CFO consulting services. Steiner Business Solutions made Richmond Biz Sense‘s RVA 25 list of 25 fastest growing companies in the Richmond region, coming in at number 13. See the 2018 RVA 25 list. For many businesses, the absolute fastest path to growth is to branch out and acquire another company. The process that takes place during an acquisition, whether it’s the company’s first or their tenth, is extremely influential in the long term, overall success of the agreement. While an acquisition might cost more upfront than other growth strategies, the payoff is worth the risk – as long as you’re thoughtful during the acquisition process. Many businesses that are approaching the acquisition process for the first time understandably have questions. The process to acquire a company is complex, however, we can start by talking about the four most important things to know before you begin. It’s easy to look at a potential acquisition and see dollar signs, but it’s more important to step back and assess how well the company you’re looking at is aligned with your brand image and core values. This is important for several reasons. First, there is always an adjustment period with a new acquisition – always. This period can be extremely difficult to navigate if you’re devoting all your resources to aligning your core values and processes. Choosing a company that’s already aligned with your basic mission, values and operations will provide for an easier transition. Secondly, merging or acquiring a business that’s a complete disconnect from your core brand gives the image that you’re off playing in left field with no real idea of what your business focus really is. Due diligence is a necessary part of the M&A process. 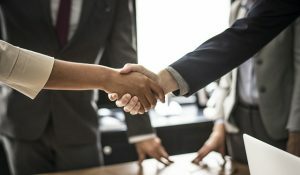 While you’ll likely have help with the legal aspects of due diligence, you need to start doing your homework before you even consider contacting the appropriate players about an acquisition. You should start by researching every bit of information about the company that’s available publicly, including seemingly benign elements such as blog posts and social media action. These are all pieces of the puzzle that will help you assess the brand’s validity. Secondly, once you connect with them it’s important that you leave no stone unturned in researching their financial information, quality of their staff and their corporate culture. The main number that gets looked at when considering an acquisition is the negotiated upon price. However, it’s important to look well past that number and determine how the operating costs of the newly acquired company will impact your overall cash-flow. For example, you need to have a solid understanding of their monthly operating expenses, payroll, overhead, and the anticipated costs associated with any training that may be required with the acquisition. One of the most important assets you have in the acquisition process is the team that will make your dream of growth a successful reality. You need professionals who are skilled in all aspects of the M&A process – including due diligence, business valuation, deal negotiation and much more. Make sure you have this team in place before you begin the process. If you’d like to know more about how to acquire a company and set your own business on a successful growth trajectory, we’d like to speak with you. Contact Steiner Business Solutions today to learn more. © 2019 Steiner Business Solutions.